Ypsilon Mountain and The Mummy Range glow in the preawn hours as the sun begins to set the sky and landscape ablaze over Rocky Mountain National Park. 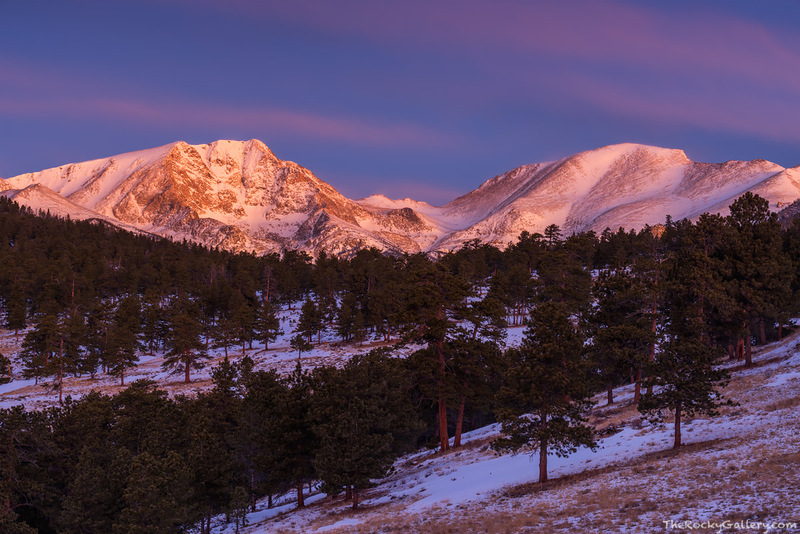 With the shorter day of winter, sunrises in Rocky Mountain National Park are often dramatic and beautiful. Photo © copyright by Thomas Mangan.